Established in 1959 by Betty Oliphant and Celia Franca, Canada’s National Ballet School (NBS) is one of the world’s foremost training institutions for aspiring young dancers and teachers. Attracting students from across the country and around the world, NBS is the only ballet academy in North America to provide elite dance training, academic instruction and residential care on the same campus. The School’s progressive curriculum, with its emphasis on the physical and emotional well-being of the student, has put NBS at the forefront of dance training internationally. Talent is the sole criterion for acceptance into NBS’ Professional Ballet Program. NBS also offers a professional Teacher Training Program, a Musician Mentorship Program and Community Classes for both children and adults. The Associates Program offers classes after school and on weekends for students between the ages of 6 and 17, while the School's popular Adult Ballet Program offers classes in the evenings and on weekends to adults of all fitness levels and dance experience. NBS is at the forefront of professional ballet schools in delivering a wide and diverse range of community programs that improve health and quality of life for people of all ages and abilities. Through its Sharing Dance program, NBS promotes broad public participation in dance, providing dance activities to public school children, adults and the elderly, including those living with Parkinson’s disease or dementia. The excellence of the Professional Ballet Program is reflected in all of NBS’ programs. Want to make your mark in the arts? 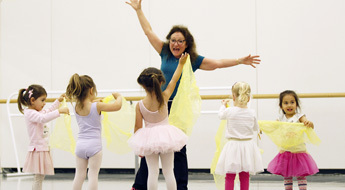 See current positions available at Canada's National Ballet School. As Canada's National Ballet School approaches its 60th anniversary in 2019/2020, three strategic priorities guide its actions. Learn more about our initiatives.